The best part about the closure of Irrational Games is that a handful of wonderful BioShock developers and writers have a chance to branch off and work on other projects. The company "family tree" has spread into other AAA projects of course, but the indie scene is now big enough to welcome their talents in as well. The Black Glove, a game headed by former BioShock devs, launched yesterday on Kickstarter, and today sees the launch of a yet another campaign spearheaded by a BioShock developer called The Flame in the Flood. Director Scott Sinclair brings along with him a handful of talent from the ex-Irrational Games' staffers as well as Rock Band and Halo veterans. 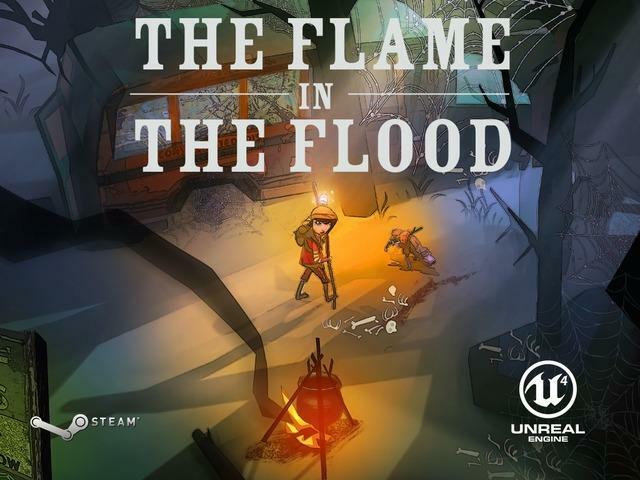 The game sports a nice cartoonish look as players seek to survive in a world revolving around a procedurally generated river. The idea stems from several of America's most iconic wetlands like the Everglades, Mississippi River Delta, and the Louisiana Bayou. Find food, construct tools, fend off illness. It sounds a lot like the popular survival games you see in the wake of Don't Starve, but the allure here is definitely the setting and our protagonists' canine companion, Aesop. Sinclair and his team, The Molasses Flood, are looking for$150,000 to fund the project, and they are roughly one third of the way there after a single day. I don't believe it is a coincidence that two projects from former BioShock developers went live within 24 hours of each other. Something here reeks of cahoots! Check out the Kickstarter page and be sure to donate if you are interested.